Here is a cat breed list of grey or blue cats, as they are affectionately called. There are many people who love nothing more than a beautiful grey cat and that is no wonder. A blue cat is like a shadow - but can also shine like silver. There is nothing dull about an even grey coat of a beautiful cat. 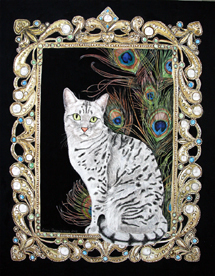 It is very elegant and brings out those marvelous eyes very well, no matter what the eye color. There are not that many blue cat breeds, and some say they all look similar. But they do not - if you look at them closely, they are quite different. Also their characters are different from one another. My first cat, Misu, was a grey tuxedo cat, a lovely "moggie" if you will. I remember when I was a child, how I admired the play of light on her lovely, soft grey fur. While she sat in the shadow, she looked like a shadow herself, but when she walked into the sunlight, or enjoyed a sun spot on the floor, her fur almost glistened. Because of her I shall always have a soft spot for grey cats. 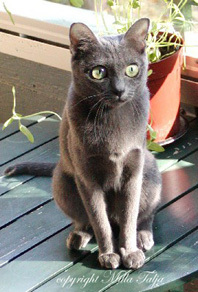 The Korat cat is one of the oldest recorded cat breeds, and the Western world did not hear of its existence until very recently. Until then this treasure hid in the plains of Korat in Thailand, much appreciated by the local people. 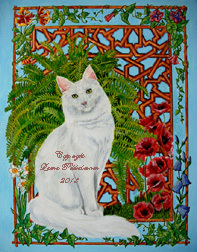 In its homeland it was considered to be a good luck cat - it brought good fortune to the house it was living in. 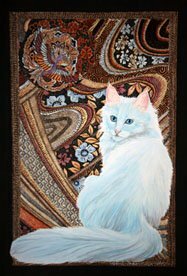 Great care was taken to keep the cat happy and in the house, so it would not leave and take the luck of the household with it. It has a sweet and loving personality but has its own opinions too. 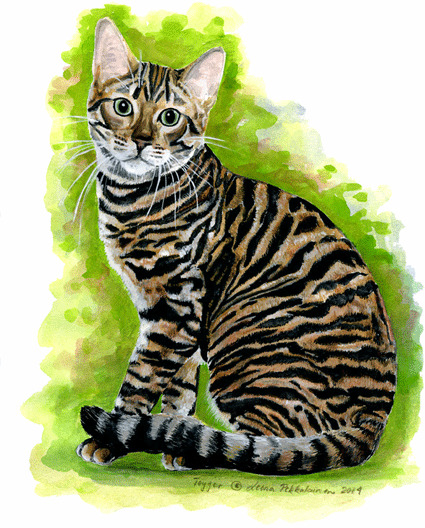 It is known for the silvery sheen of its coat - and those lovely green eyes... They are absolutely gorgeus, huge and expressive. 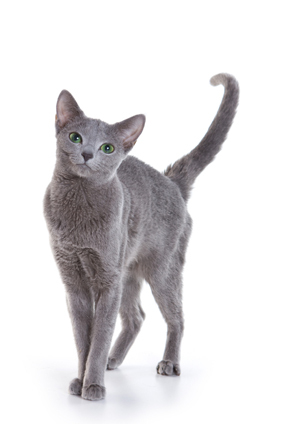 Photograph of the Russian Blue cat: copyright belongs to Dixi at IstockPhoto - do not copy.